Leaders in digital transformation have learned how to master rolling waves of emerging technologies to create chains of innovation that propel their businesses forward at ever-accelerating speed. Digital Transformation 2019 is designed to help you learn and adopt the strategies of the pacesetters. To be an EA and technology innovation leader today, you must scale your role to meet your organization’s digital business expectations in the future—and you must act now or risk being left behind. 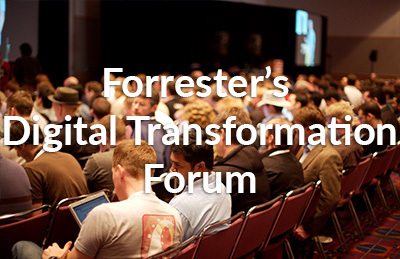 Find out how to lead the digital evolution and transformation at this event. Join IDC's Leading Partnering Conference and find out how the channel evolves into more of a hyperlinked ecosystem, how partner business models are executed and linked to a new collection of partners. This event offers CIOs the rare opportunity to exchange insights with peers across industries. CIOs get to engage with fellow IT leaders and discuss topics relevant to their daily challenges in an interactive setting. In a joint webinar with leading EA experts from Deloitte and ServiceNow, you will learn how up to date information in ITSM and EAM facilitates accurate decision making and optimizes IT spend. At the EAMKON conference in Stuttgart experts from the enterprise architecture field will be discussion new approaches and trends for an efficient and consistent architecture management. It is the meeting place for CIOs, Chief Enterprise Architects, Enterprise Architects and IT strategists from all industries. LeanIX' very own conference is back in the US: The leading Enterprise Architecture event for Enterprise Architects, IT leaders and anyone with an interest in the practical management of modern IT architectures. At this conference, the world’s top CIOs and Senior IT Executives gain a strategic view of the emerging trends shaping IT and business. Attendees explore new ways to approach critical challenges, make decisions with confidence and achieve greater impact as a leader. The Cloud Native Computing Foundation’s flagship conference gathers adopters and technologists from leading open source and cloud native communities in San Diego, California. Join them as the community gathers for four days to further the education and advancement of cloud native computing. Join Lean42 and LeanIX for an interactive discussion about how companies can use Lean Principles of EAM to achieve higher visibility and efficiency in IT Portfolio Management. Join LeanIX and iTelligence for an exciting conversation on Business Process Management and Enterprise Architecture Management as key drivers for emerging technologies. This event offers insights into best practices for Enterprise Architecture Management from renowned organizations like ABB, ARZ and Belgische Bahn. These expert sessions are designed for customers and partners of LeanIX who want to deepen their knowledge and update themselves on the latest solution developments of LeanIX. This free training is designed for partners in LeanIX‘ certified partner program. In these two-day sessions, you will be introduced to LeanIX as a tool, learn about best-practices on how to address typical customer use cases and how to administrate LeanIX for your customers. AWS re:Invent is a learning conference hosted by Amazon Web Services for the global cloud computing community. The event features keynote announcements, training and certification opportunities and access to more than 2,000 technical sessions. Save the Date: The next EA Connect Days are taking place in LeanIX's hometown Bonn! 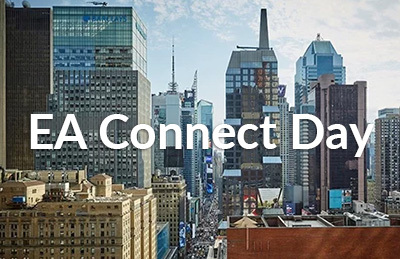 EA Connect Days bring together Enterprise Architects, IT leaders and anyone with an interest in the practical management of modern IT architectures. Register now! The Signavio conference features fascinating presentations about the topics of process management and business transformation as well as insights into the newest features of the Signavio Business Transformation Suite. The theme of 'EAM - Success factor for digitization' brings an expert audience to the Lean EAM Conference in Munich. Find out more about the current EA trends and network with other experts. Whether you’re just getting started in your technology business management (TBM) journey or several years in looking for ways to accelerate your return, there is no better opportunity than the TBM Conference to learn and connect with other global IT and Finance leaders. Together with our partner LoQutus we will present our approach to Enterprise Architecture Management. Discover how ServiceNow can help you deliver great employee and customer experiences. Now Summit Frankfurt is a place to learn, connect and get inspired by visionaries, customers and partners. This is the event for Software Architects, Developers and everyone interested in Software Architecture. Attend to learn about current software architecture trends and developments and to network with your peers. Discover how ServiceNow can help you deliver great employee and customer experiences. Now Forum Sydney, the biggest ServiceNow event in Australia and New Zealand, is a place to learn, connect and get inspired by visionaries, customers and partners. 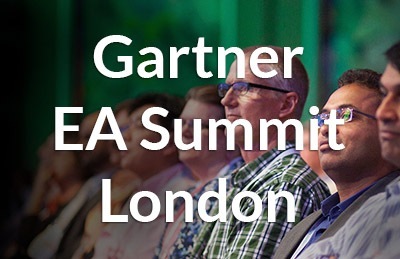 Join other participants in Berlin to discuss how EA Management can continue to add value to the business in the future and how the role of the Enterprise Architect will change in the Digital Transformation. LeanIX' very own conference is headed to the US: The leading Enterprise Architecture event for Enterprise Architects, IT leaders and anyone with an interest in the practical management of modern IT architectures. The largest developers conference in Europe attracts more than 8,000 participants. Its mission is to connect developers globally, share knowledge and experiences. Knowledge is the world's largest gathering of service management professionals bringing together ServiceNow customers, experts and partners. This event is the conference for women who want to make a difference and do not want to leave their career up to chance. Scheduled one-on-one meetings, talks and a comprehensive conference program support networking and career planning. Annual careers fair for engineers, information scientists, medical practioners and natural scientists. Meet companies and organizations and gain practical insights into career paths. Join digital transformation leaders at the 2018 ServiceNow Federal Forum for insights on empowering teams to deliver IT at mission speed, resolving security threats faster, enabling efficient employee and citizen experiences, and more. LeanIX Co-CEO will joining Federal CIOs on a plenary panel to discuss Emerging Technology and the Evolving Federal Workplace. In most organizations analogue processes still dominate despite increasing digitization. How can these be digitized? How do we have to change our IT architectures to be fit for the future and benefit from new, innovative business models? In this webinar you will learn how to to build your first LeanIX Custom Report in a few minutes, how GraphQL and the Custom Report framework align perfectly and how to embed Custom Reports into your workspace. In this webinar you will learn how to build advanced GraphQL queries, how to work with Filters and Patches and how to embed GraphQL in languages like Python and Java. Over 300 exhibitors will be onsite to establish contact with students and graduates looking for entry level positions, internships or theses. Visit our booth to find out more about how to work for LeanIX and our open positions. In this webinar you will learn how to get started with GraphQL, what the advantages are compared to REST API and where to find more resources for GraphQL. LeanIX's very own EA Connect Day brings together Enterprise Architects, IT leaders and anyone with an interest in the practical management of modern IT architectures. Join us to discuss EA's biggest challenges like Microservices and GDPR and network with 200+ EA practitioners at adidas World of Sports. At the Unternehmenstag event companies from the region meet students and graduates. Besides direct entry you can find out about internships and theses. Visit our booth and find out more about how you can start your career with LeanIX. At this Digital Business Integration conference organized by itelligence you can expect an interesting mix of solution presentations and practical use cases as well as plenty of opportunities to exchange experiences with other participants and organizations. #DPK17 is the biggest and most important German Microsoft Partner Event of the year. Find out how to digitze processes, employees, whole organizations and value chains. The theme of 'Enabling and securing digitization and Industry 4.0' brings an expert audience to the Lean EAM Konference in Munich. Find out more about the current EA trends and network with other experts. This event will bring together thought-leaders from government and industry to discuss how agencies can manage competing priorities of cutting costs while making government operations and services more efficient and more effective — and deliver a real return on their IT investments. The event for CIOs and IT leaders helping you see further, explore deeper and discover how to make digital a core competence for you and your organization. Free Software and Open Source are the themes of this event at the Bonn-Rhein-Sieg University of Applied Science. Visit our booth to find out more about our innovative technologies and open positions at LeanIX. A must-attend event for EA professionals. Gain critical insights and advice on how to respond to emerging technologies, drive innovation and achieve strategic business objectives in the era of digitalization. Learn to create an EA program that produces business outcome-driven results. The event for Enterprise Architecture and technology innovation leaders who are at the forefront of organizations' digitization efforts. It will provide the skills and competencies needed to support innovation and master the complexities of new digital business platforms. knowledge17 is the world's largest gathering of service management professionals bringing together ServiceNow customers, experts and partners. Rethink! IT is a leading IT strategy summit to meet, discuss and network with IT executives from all over Europe. Find out how to develop your IT strategy, use innovation, drive your business towards IoT and Industry 4.0 and much more. In March 2017, Phantasialand in Brühl will once again be the place to be for Java enthusiasts – more than 100 lectures and many community activities await. Visit our booth to find out more about our innovative technologies and exciting job opportunities at LeanIX. TOGAF is one of the most popular EA frameworks today and many organizations consider it to be the de facto standard. In this webinar a renowned EA Specialist Juha Mylläri will look at how LeanIX can be used to support Enterprise Architecture Management with TOGAF. Is a microservices architecture right for your organization? What should you focus on when getting started? How do microservices affect your business model? Join our webinar to find out! Under the theme 'EAM as a driver of digital transformation' the conference examines how EAM influences the digitization within organizations. One of the presentations will be held by AMAG jointly with LeanIX. It will examine how they are preparing their SAP landscape for the digital age with the help of EAM. Based on a specific use case you will learn how to systematically prepare your IT landscape for Industry 4.0 and how to not only keep informed with LeanIX reports and surveys but to successfully support your business (joint webinar with Lean42 in German). Getting started with Enterprise Architecture can be surprisingly quick and easy. We will show you how to tackle the most important EA use cases and how to confidently navigate around LeanIX in no time. Join us at the Zalando Innovation Lab for our EA Connect Day 2016 and meet top-class speakers who will be giving insights into the practical management of modern IT architectures and beyond. Find out what you should do until tomorrow, until next week and until next year to support a successful digital transformation in your organization. Learn how to link Process Design (BPM) on the business side closely with the planning of the IT landscape in LeanIX (joint webinar with Signavio). Learn how you can rethink Enterprise Architecture by combining your existing EA repository with real-time data. During the webinar we will demonstrate live how to solve some of the biggest EA challenges. Learn how you can rethink Enterprise Architecture by combining your existing EA repository with real-time data. During the webinar we will demonstrate live how to solve some of the biggest EA challenges (in German).